Citrulline is known to help in reducing fatigue and improving endurance making it a perfect post-workout drink. What A Melon has no added sugar and no preservatives thus also making it a healthy hydrating drink. Here at DB Reviews we sampled the drinks and found them to be very natural tasting. Perfect when chilled - the soft drink is hydrating, delicious, works well as a post-yoga or post-exercise drink and even as a natural cocktail mixer. What A Melon is available from specialist retailers including itsu, Selfridges, Wholefoods and Planet Organic. 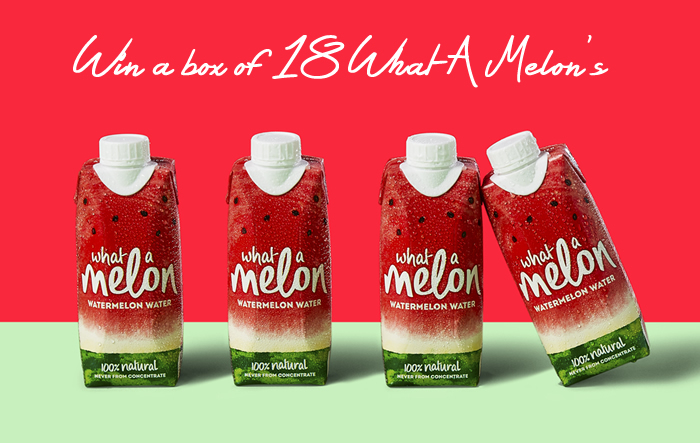 What A Melon team have kindly offered one of the readers of this blog the chance to win a box of 18 What A Melon's (RRP £38). Enter via the Gleam widget below. All the best.